Differentiating the undifferentiated. Fashioning form out of the formless. Easing beyond the edge. Embodying the single cycle within the limitless swirl. Creating some-thing out of no-thing. Such is the work of the conscious life. Consciously creating context out of the contextless. This is the primal & holy work of the Yangwei, our Outer Gate. Existing boundaries are the pre-existing differentiating work of those who came before us. Moving beyond the existing boundary allows us to engage our own capacity for “boundary making,” our own capacity for the creation of context. An elegant and engaged and unpolluted Yangwei responds with innate intelligence to all manifest contexts within time and space. Our Yangwei allows us to navigate gracefully beyond the edge of our existing, comfortable contexts into the less familiar, less differentiated world. A harmonious Yangwei moves confidently and quiescently into the undifferentiated wholeness that enfolds and embraces us all.The creative process (the process of creation) moves us and requires us to move from the direct experience of the world in its formless form of undifferentiated wholeness or less differentiated wholeness towards the making of form, the creation of context, of meaning. To an extent, each “creating of form” is a re-creation of our original forming of ourselves. To an extent, each “creating of context” is the re-creation of the original formation of our cosmos. It is a process that must be expressed at its earliest stages symbolically, then metaphorically and finally, when at all possible, through the formation of structured language, structured process, structured institutions, and structured structures in the way of gates, roads, buildings and the world we “live” in.Each structuring, each making of a form out of the formlessness moves the edge and requires us to reach further into the depths of our undifferentiated space to move beyond the edge. The human capacity for doing so (stored in the Chong, Ren, Du) has become less fluid, less graceful, as we “settle into” and “settle for” the boundaries we have constructed. Our capacity to meet and creatively define and construct our world has become calcified, rigid, tamed, more civilized. We “know” what we “like” in advance of the experience. Our ideas are constructed and rigidly adhered to no matter the reality of the world as if flows at us. There is a comfort to be found in all of this to be sure. There is a sense of security, or order. The Way is mapped and therefore safer and more predictable. Our ever increasing reliance on Pre-Existing & Pre-Constructed maps of the Way have deeply constrained and contracted our capacity for expanding out into world and navigating our Way with grace and ease. We are embodying this hyper-contraction and it manifests in our lives and bodies as deep sense of isolation, depression, stress, stiffness, pains, headaches and a loss of connection with the limitlessly gracious and giving world in which we live. To be free of this “pain” we must engage our capacities for meeting the world with our senses literally touching, seeing, hearing, smelling, breathing in and eating all that is momentarily outside us with awareness and gratitude. The ordinary is the extraordinary. In this process we learn from the natural world outside of us, both from our successes and our failures. Along the Way, we gather a sense of confidence and ease as we navigate the magnificence that is our world. 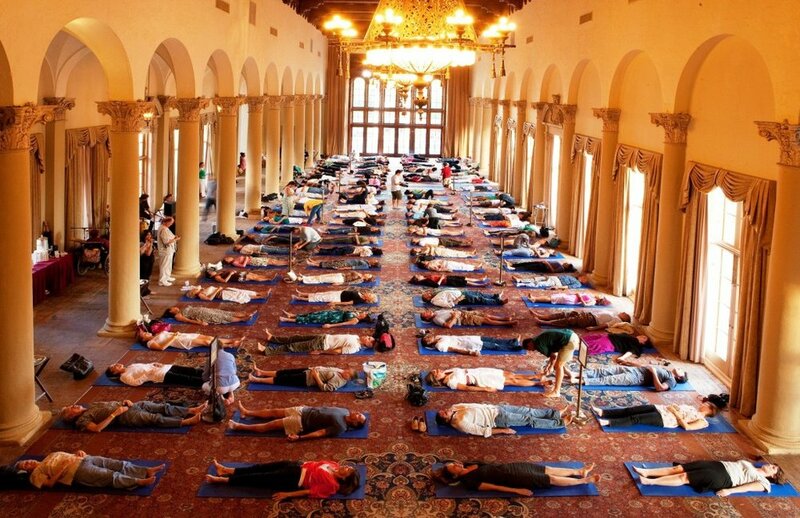 "World’s Largest Shared Acupuncture’ Event a Surprisingly Spiritual Experience"
Healing Explorations & Shared, Group Acupuncture is one of our greatest joys. NSEV acupuncturists are offering these type of events on a smaller scale at an ever increasing rate. It's hard to believe it's been five years since we ALL GATHERED TOGETHER and had an event of this magnitude. The last time we did the the Huffington Post called it, "a surprisingly spiritual experience". Check out what the Huffington Post had to say! 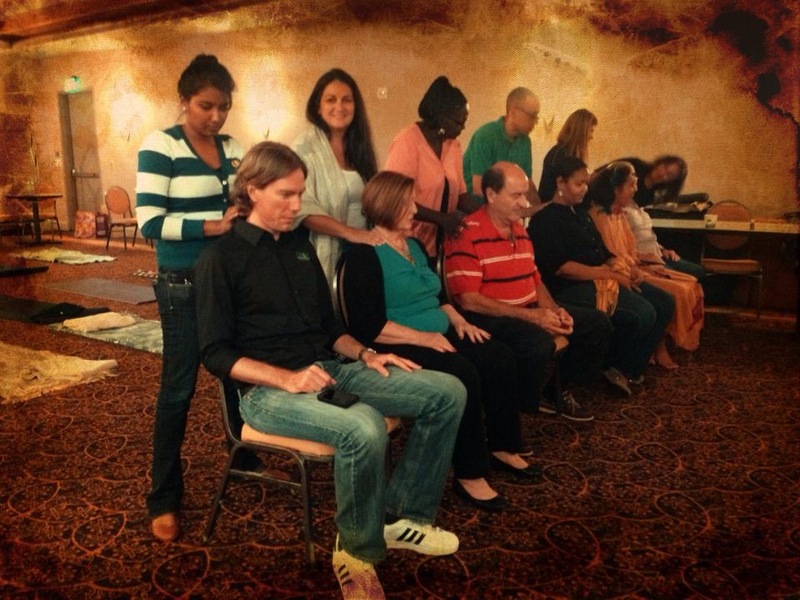 For all of us in the NSEV Healing community it's a truly remarkable experience to gather together so many healthcare providers and healers from such diverse backgrounds all with the single intention of creating a genuinely fun and fantastic and HEALING EVENT for our beloved South Florida community. We are once again honored to partner with University of Miami's Miller School of Medicine's iCamp program whose participation makes this event possible. 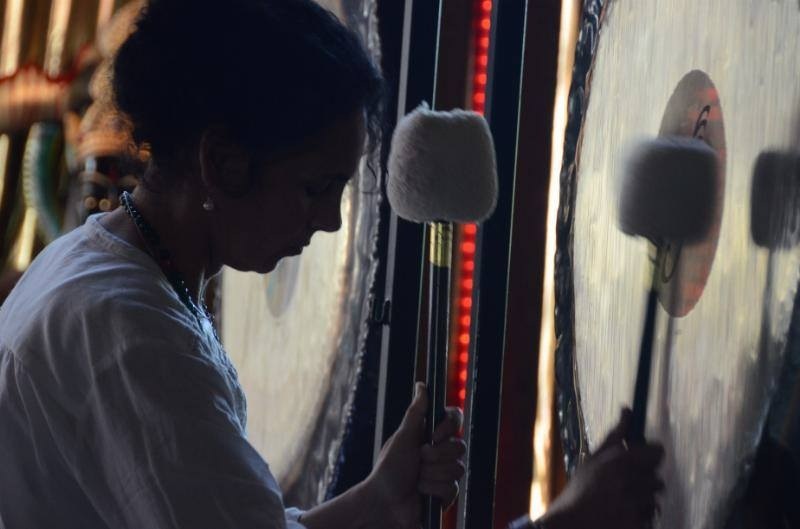 NSEV Healing Explorations combine practices from a variety of the worlds’ wisdom and healing traditions including music, art, movement, meditation, massage and more to provide a compelling & direct experience of acupuncture's extraordinary vessels. The experience is designed from a worldview inspired by a Chinese traditional healing paradigm. Acupuncture’sextraordinary vessels represent and engage the primordial fields that shape our external and internal realities and provide the core functions mandatory to human existence. . Check out the details and please join us for this remarkable event! We tend to think of ourselves as a “permanent structure” to which change is occuring. Perhaps it would be more useful to view ourselves as a constantly, changing phenomena that is “structuring change” in particular and predictable ways. We (the I part of we) are one of the 10,000 (limitless) things that emerge from this universal play of constant change. We are simultaneously acted on by this change and are the act of change itself. Here we can see structuring as a swirling, spiraling dance between constructing and deconstructing, forming and unforming, gathering and letting go, birthing and dying. The very nature of this changing dynamic is itself constantly changing in time and space. What is perceived from one perspective, as a death, is from another perspective, a birth. What is one moment a death is the next moment a birth. As a particular structuring phenomena moving through time and space we interact with and are interacted on by an infinite number of other “change structuring phenomena”. We are simultaneously awash in and engorged with the structuring and destructuring universe that is the cosmos and beyond. This constant change can be experienced in cycles. The breath cycle, the daily cycle, the monthly cycle, the yearly cycle, our life cycle. Our inhalation & exhalations, our rising from and going to sleep, the dark moon to the full moon, winter to summer and our birth to our death. All & always the constant interplay that is our constantly changing cosmos. There is “us” (we call it “I”) and there is “outside of us”, i.e. the world. The “I” in us has a drive to connect with the outside world. We are born with the desire and the capacity to fulfill this drive. Our sense of connection to the outside world , (an outside of us we created or recognized, depending on your world view) is born with us, a gift from our ancestors. How deep that sense of connection stays as adults is determined by the “world” or environment in which we grow and develop. All of us, at one time, related to the world outside of us, in a robust and multi-textured way. Our wisdom ancestors sensed and knew that the world that is beyond our selves is same and part of the world that manifests within us as well. The infinite gifts of the earthly and celestial landscapes, the moon, stars, sun, the coming and going of light, the sounds. The primary sensory experiences of the world: smell, touch, hearing, looking, conversing. This is the learning ground for our Yangwei: our Outer Gates. Here we develop our capacity to meet the world with elegance and grace and joy. As adults, we can find our selfdialoguing with another human, whose perspective is deeply calcified and unchangeable, trying to convince them to come over to our entrenched and calcified view. This is “normal”. We call a dialogue with a riveror cloud or bird, madness. Even though that river or bird or cloud is giving us the gift of openness and emptiness so that a genuine dialogue may occur. Dialogue, Dia: meaning across Speech that moves across, from one space to another. Across our boundaries. Across ourfixed positions . Our positions are our prison walls..Cultivating our Outer Gates, our capacity to meet the world with emptiness, leaves us truly open, not vulnerable, to the new. How empty must one be to “see” or allow across the viewpoint of another? To truly taste the opinion of another ? To feelall of itfully and safely within our selves? To let it dance right below our surface ? To see what where we can make value from even the most seemingly repugnant ofexternal influences. To “get it” and then “let it go” allows you to understand where that opinion “lives” in others. What that “opinion” is made of ? To taste the world outside of our selves in all its flavors and with joy.